The 2019 season Early Registration is now OPEN. Please contact info@barbertonyouthfootball.com with questions? 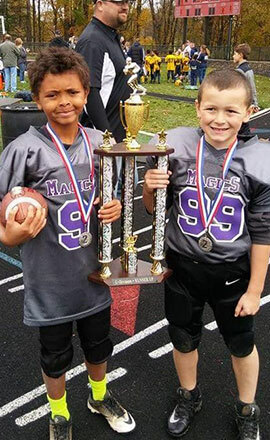 We look forward to another great year of Barberton Youth Football and are so happy your child is interested in joining this awesome organization! Or Reserve you spot on the Football or Cheerleading team for $50 and pay in full later. You may have heard there have been some changes made within the league, and we wanted all parents and players to be aware of what they can expect for the 2019 season. To kick off the season, we will hold a mandatory parent meeting to review all the new information.. Proudly sponsored by local community. 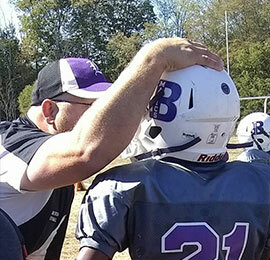 Becoming a sponsor of Barberton Youth Football you help give the youth the equipment and foundation they require to learn to work in a team, improve sportsmanship and gain memories that will forever cherish. 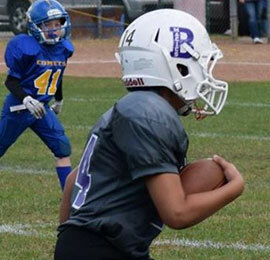 Barberton Youth Football is a non-profit organization dedicated to to providing youth with access to sports, well being and experience of a team.